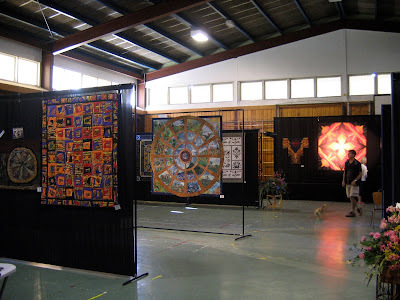 While I was in Tapawera a couple of weeks ago, I was lucky enough to be there at the same time as a quilt exhibition on at the school hall. 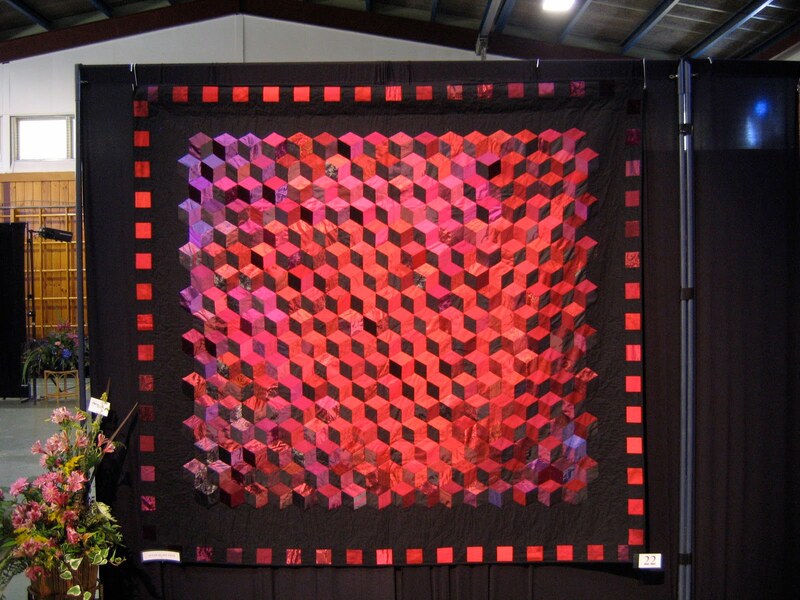 The exhibition was made up of the largest private collection of quilts in New Zealand, owned by Rinny and Peter Gordon of Mapua. 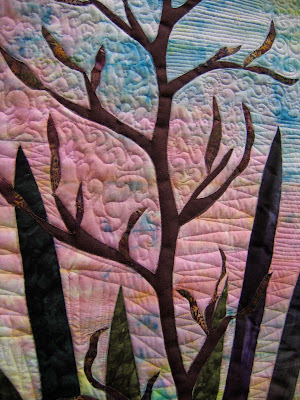 The Gordon's purchased 25 of the quilts from leading artists over 30 years. 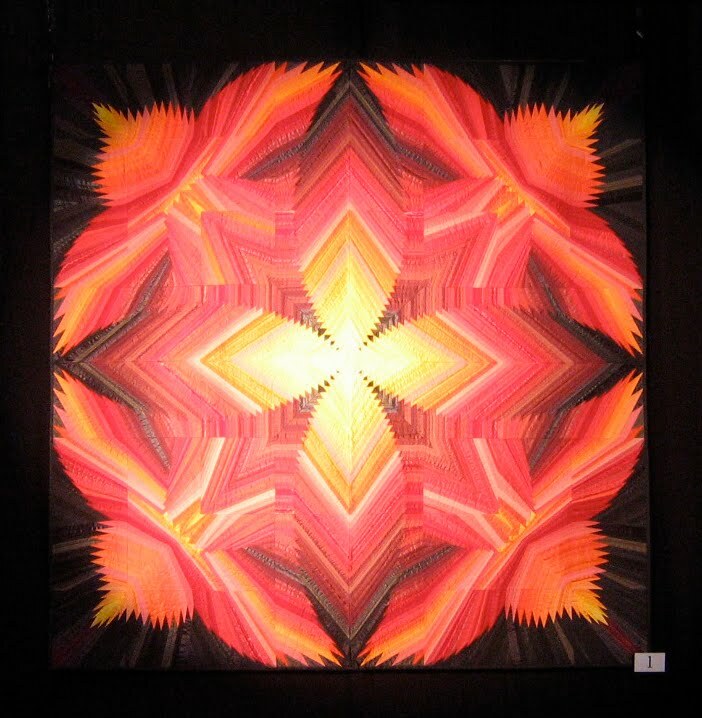 This includes the one pictured above, called Putanga O Te Ra (birth of the sun). It was created by Waikato artist Gwen Wanigasekera, and it won a national competion in 1990. 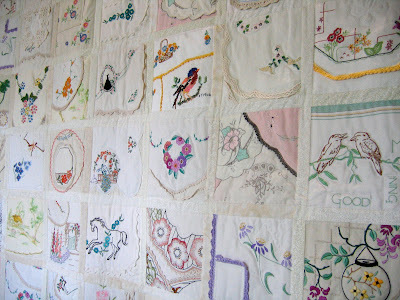 Another 15 quilts in the exhibiton were made by Rinny herself, who sadly passsed away from cancer a year ago. Unfortunately I didn't get a copy of the program, so I can't tell you which ones are hers. 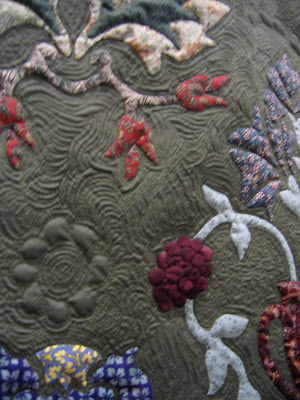 The exhibition also had quilts from local quilters, and a guest quilter, Barbara Bilyard. Dad came along for a look as well, and was really impressed by the works. I was speaking to one of the organisers who was telling me how the men that came to take a look all really liked it. Especially interesting since this was in the country, so a lot of the men would have been farmers! All in all it was a great weekend, as this and my previous post on the painting workshop can attest. Please excuse the quality of some of the photographs, the lighting wasn't ideal. Some of them were so intricate, they must have taken ages! 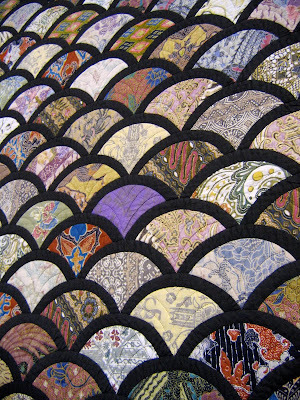 I agree retrofemme, I think that was something that was mentioned at the exhibition, how the quiltmaking is now more of an 'art form' than a functional quiltmaking exercise.